expansions 1 - 5, and has bonus trays for expansions 6, 8, 9 & 10. This four sheet product was a part of Kickstarter Campaign 3 and will be available on our store from May 1st. 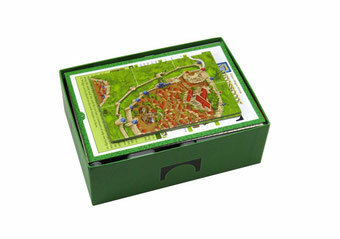 This Campaign 3 insert is designed to be compatible with Carcassonne® and the first five expansions to the game: Inns & Cathedrals®, Traders & Builders®, The Princess and the Dragon®, The Tower®, and The Abbey & Mayor®. The insert also includes three bonus trays for use in one of the expansion boxes to store the Count, King & Robber®, Bridges, Castles and Bazaars®, Hills & Sheep®, and Under the Big Top® expansions. More details on this below. With the top layer removed from the main game box you can see the second layer of trays underneath. Each meeple set has it's own tray for its coloured components. These are the trays for the meeple sets, the tower sections, and another tray which stores the Dragon, the Fairy and the goods tokens. In addition there are three further bonus trays for other expansions, images below. This is the main map tile tray. This has three smaller sections, sized to store the two river sections and the points and abbey tiles. The other six sections are designed to store the other map tiles that come with the main game and all the expansions 1-5. 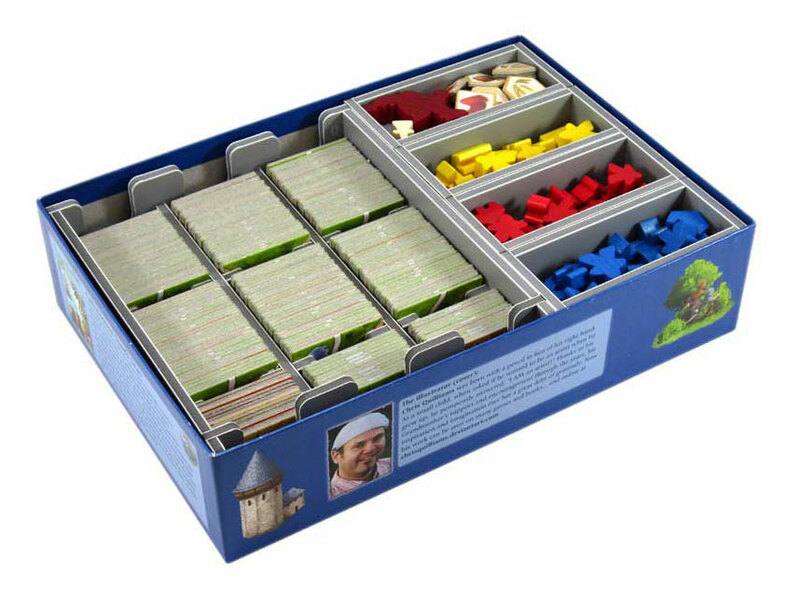 As mentioned above the trays can be used during the game to organise the components and make access by all players easy. The main map tile tray is designed to be able to stand vertically, sloping slightly backwards to hold the tiles in. This tray can then be used to organise all the tiles during the game. The map tile tray has a recess in the top which is for storing the tile bag that comes with the Traders & Builders expansion. The game boards and rules are placed on top of the insert trays acting as a lid. 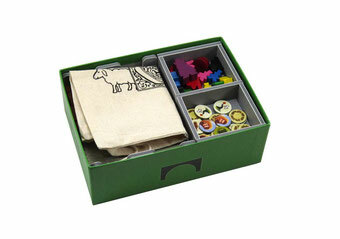 The game can be stored vertically, and transported easily as it fully fills the game box. The three bonus trays allow for storage of four of the remaining expansions in any of the expansion boxes sized 19 x 13.7 x 6.8 cm. These trays provide storage for the Count, King & Robber®, Bridges, Castles and Bazaars®, Hills & Sheep®, and Under the Big Top® expansions. There are two trays for tokens and meeples, and one large bottom-less tray for the additional tiles and the bridges. This latter tray should remain in the box to stop tiles falling out when removed. The map tile tray has space on top for the sheep bag. The trays then have a small space on top for the expansion rules and the large city tiles from the Count, King & Robber® expansion. When packed this box too can be stored vertically with the trays and rules filling the box.